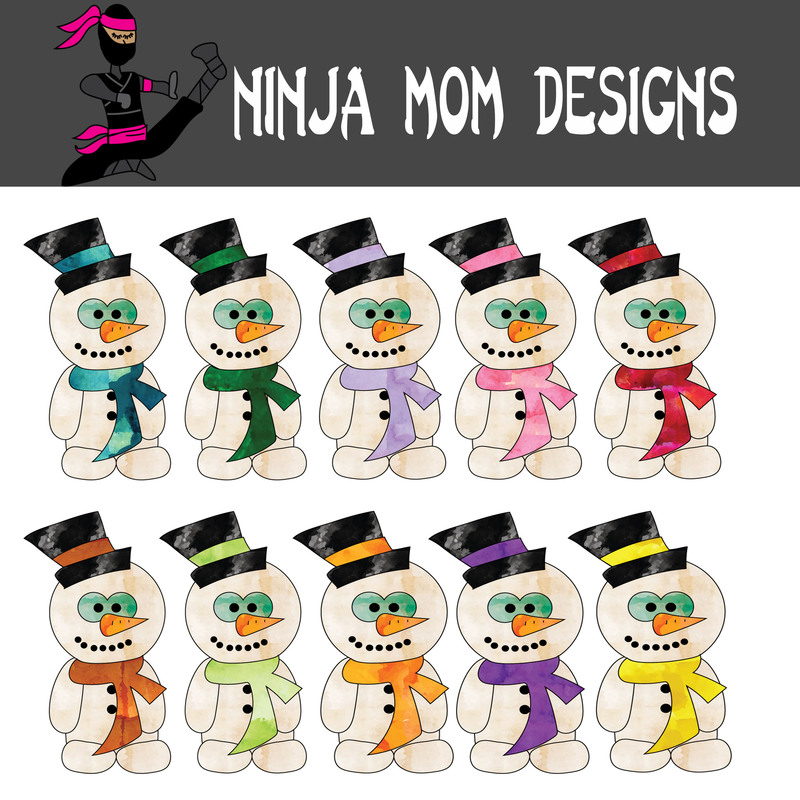 Happy New Year from Ninja Mom Designs!!!! Are you a resolution maker? A word of the year kind of person? A goal setter? How do you ring in the New Year? I’m not really any of those things. I did get a chronological Bible that I am hoping to read consistently. I’ve also thought about what my one word would be. I don’t know… I can’t decide. What would your word be? I’ll tell you one word I always like… FREE!!!! 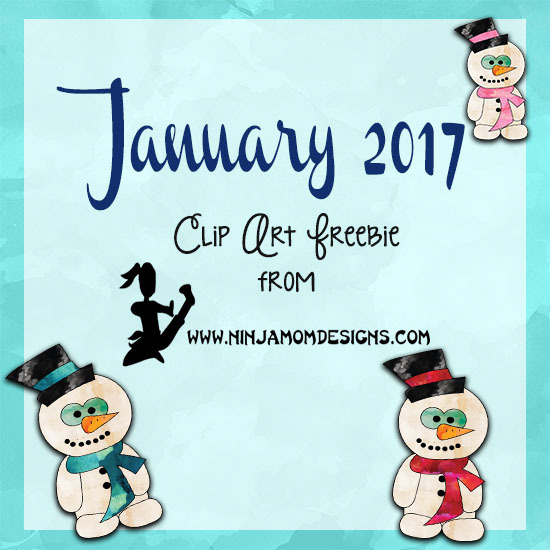 Check out this month’s CLIP ART FREEBIE. Look below the image for instructions on how to download. This pack includes 11 Snowmen (the 10 pictured above as well as one in black line). All Clip Art from Ninja Mom Designs is high quality, 300 dpi. The Clip Art comes in a Zip File. Once you click on it and download it to your computer, you can open the file. When you unzip the file, you will find all 11 Clip Art Images in PNG format. Be sure to save your file to your computer so you will always have it. My word this year is grateful. I prayed for your family just this morning. Thank you so much for sharing!! These snowmen are so cute. Wishing your and your family a blessed year.